SAN FRANCISCO, January 17, 2014: The Golden Gate National Parks Conservancy has submitted supplemental materials to the Presidio Trust Board of Directors, elaborating on the programming opportunities and public appeal of the Presidio Exchange (PX)—a modern, participatory cultural center envisioned for the former Commissary site (currently Sports Basement) in the Mid Crissy Field area. The PX is a contemporary center for exploring the intersection of human culture and the natural world through creative expression and compelling exchange (full details outlined in the supplement, available at www.presidioexchange.org). PX Digital Exchange (PXDX), an online outreach and exchange program drawing on the latest technology to engage the Bay Area tech community and extend the PX experience around the world. PX programming will be supported by a diverse range of Program Partners from throughout the Bay Area and across the country, among them the FOR-SITE Foundation, the Aspen Institute, and National Geographic Society. More information on potential PX program partners is available in the Parks Conservancy’s press room. 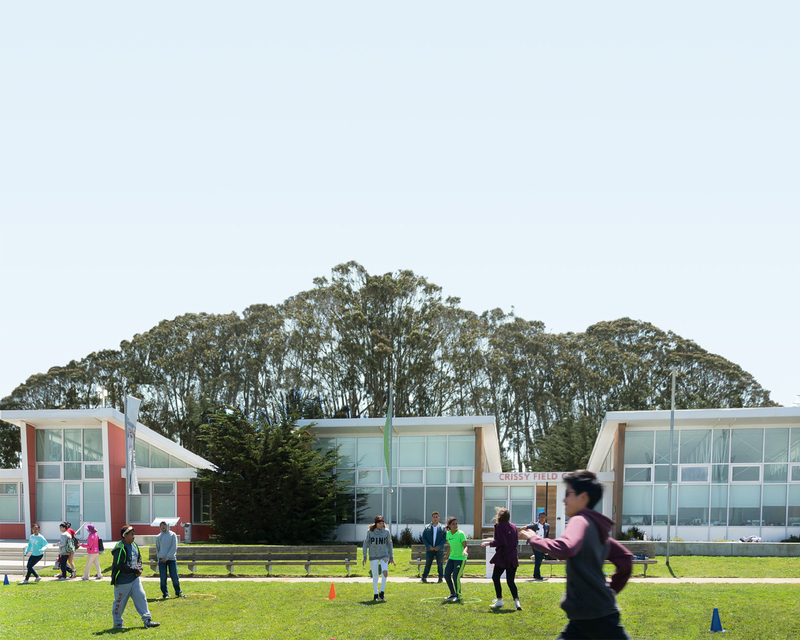 In addition to delivering fresh, fun, and compelling public programs in the Presidio, the PX will complement the offerings of other Presidio centers and visitor facilities, particularly those at the Main Post. The Parks Conservancy will work closely with the Presidio Trust to conceive and present programs that span multiple park venues and enhance—rather than duplicate—visitor experiences throughout the Presidio. Including an elevated pedestrian walkway extending from the west side of the building to the future Cemetery tunnel top parkland (originally planned for Phase II). The Parks Conservancy will detail PX programming and the revised site and building plan at the Presidio Trust Public Board of Directors Meeting on Monday, January 27, 2014, at 6:30 PM at the Herbst Pavilion on the Presidio Main Post, 385 Moraga Avenue, San Francisco. This meeting marks the last opportunity in the Trust’s Request for Proposals process for the public to make comments to the Trust Board in person. Media are welcome and encouraged to attend. For more information on the Parks Conservancy and to read the full PX proposal and supplement, please visit www.presidioexchange.org.